Composer Ian Bonighton (1942-1975) was appointed Curator of the Grainger Museum in 1970, while also working towards his Doctoral Degree in Music Composition (which he attained in 1972), and teaching at the Conservatorium. Bonighton was a student of Keith Humble, Australia’s most innovative composer in the period, who had returned from a decade in Europe with a passion to expose Melbournians to international Avant-garde music. 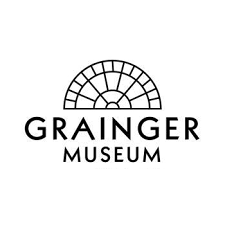 Humble’s installation of electronic music equipment in the Grainger Centre (as it was known at the time) prompted Bonighton to explore the creation of compositions that amalgamated both acoustic and electronic sound. Sleep (1969), for 16-part choir and tape, was one of the first of these electro-acoustic works. 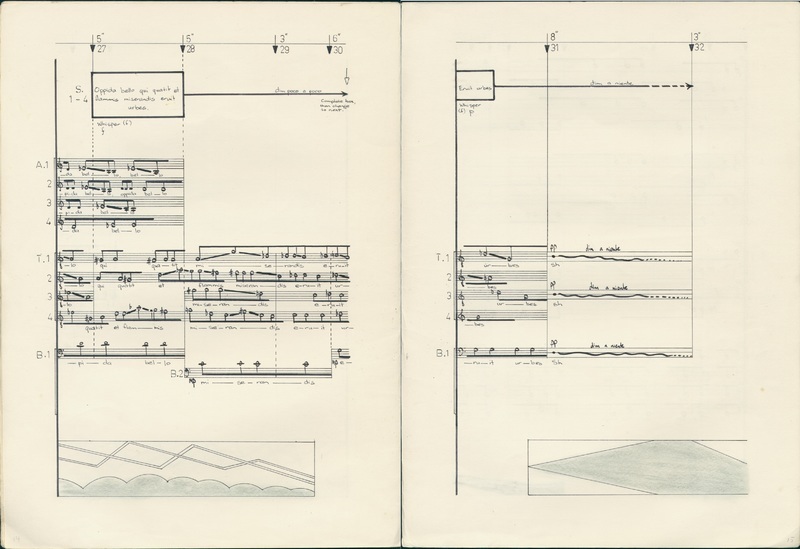 Graphic scores like Sleep use undulating lines, dots, and shapes such as squares and rectangles, sometimes filled with shading or colour, to communicate the new sonic textures. New forms of notation such as these were very challenging for performers, and not well received by traditional instrumentalists. Ian Bonighton, “Ian Bonighton, Sleep for 16-part choir and tape, 1968–69,” Grainger Museum Online, accessed April 20, 2019, https://omeka.cloud.unimelb.edu.au/grainger/items/show/181.